Factory Direct’s large range of double garages provide the perfect storage solution for your home. Double garages are available in a range of sizes and have two roller doors and come at a height of 2400. 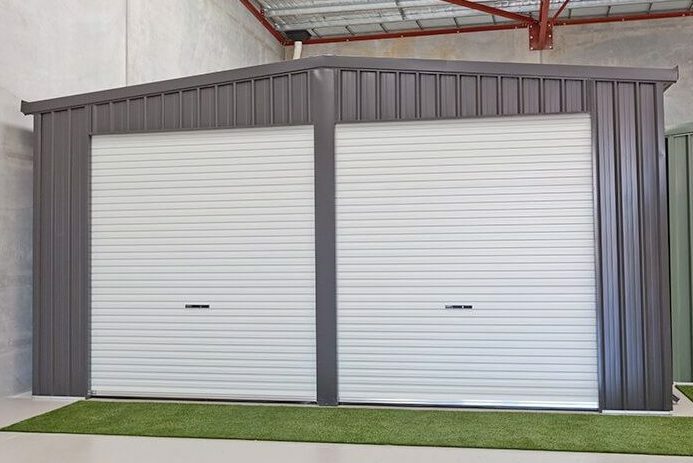 Perfect for workshops or vehicle parking plus extra storage the double garage has a standard width of 6200 and a range of length options to suit . A double garage from Factory Direct comes with a range of optional extras including additional height and your double garage is available in both ZINCALUME® and COLORBOND® finishes with either a flat or gable roof design. Make an enquiry online or come in and view our range of double garages and choose the size, design and finish that will best suit your space and storage needs.